Khartoum is a surprising city, with so much to offer that travellers are often taken a back by the lack of run down areas or city blocks they have come to expect. Quite the contrary, Khartoum is a modern, bustling, vibrant city with an ever growing skyline that rivals any European city. As the second largest city in Sudan, Khartoum sits at the confluence of the red and blue Nile, and has a population of over 5 million people. With its hot desert climate, the city is warm all year round - temperatures rarely go lower than 15 degrees, and an average high temperature is 41 degrees Celsius. Those who are seeking out a rich cultural experience won't be disappointed either, as Khartoum is host to the largest museum in the whole of Sudan. The National Museum of Sudan displays work from artists and great leaders throughout Sudan's history, and is a truly fascinating insight in to a country that is misunderstood by many. The other museum in Khartoum is called Palace Museum, and is located near the old Presidential palace - the palace is also a sight worth taking in. 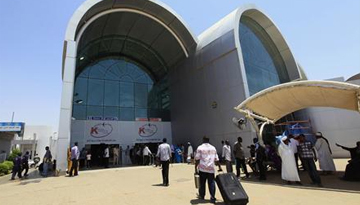 Best Emirates flights to Khartoum from Heathrow with return economy class fares at £489*. 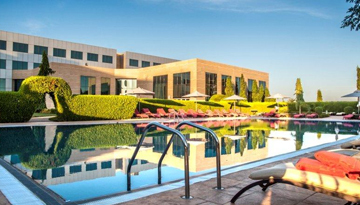 The Hotel rooms offer an elegant decor and superb 5-star facilities with local sightseeing. 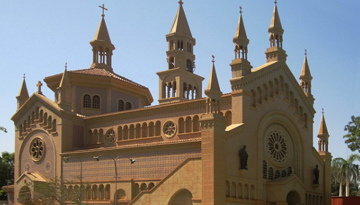 Fly from London - Khartoum & Stay for 6 nights with 5 star accommodation. Room Only.